We play an active role in the global fight against climate change by striving towards carbon neutrality in all hotel operations. This does not exclusively refer to offsets that reduce emissions, but through the improvement of energy efficiency and reduction of fossil fuel usage. 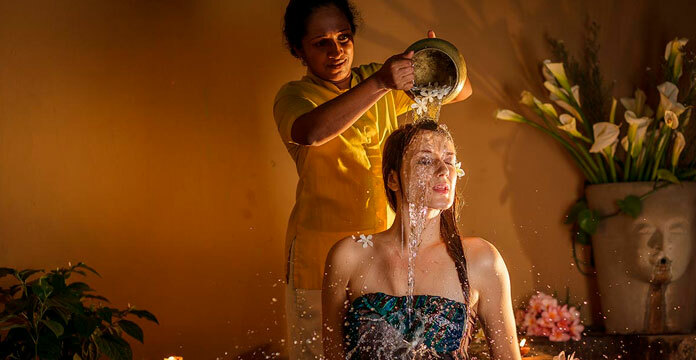 The enchanting nature of Sri Lanka has also been instrumental in our transition to renewable energy, with a widespread availability of resources across the many landscapes we call home, where we welcome you to indulge in our hospitality with a minimal carbon footprint. 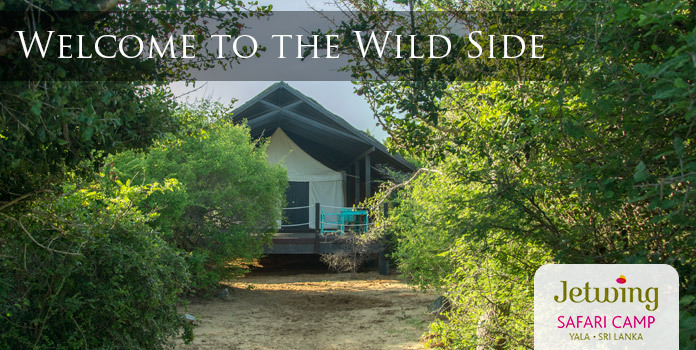 Although the conventional option would include the use of diesel boilers, a selection of hotels in our family have opted for the direct use of biomass – through dedicated boilers fueled purely by sustainably harvested cinnamon wood. The choice of cinnamon wood was made due to its fast cropping cycle, which allows it to rapidly sequester carbon emitted from the burning of its wood. As it is a byproduct of cinnamon spice cultivation, it does not need to be separately grown or harvested, and also provides an additional source of income to local cinnamon farmers. The biomass boilers are used for hot water generation and steam generation – for use in the laundry and as a heat source for our Vapour Absorption Chillers. On occasion, waste bio-material from hotel operations such as coconut shells and dried grease from kitchen wastewater are combined with sawdust, and added to the boiler in small quantities. Biomass is indirectly used at certain hotels in our family for Vapor Absorption Chillers. These have been adopted over conventional chillers that may be harmful to the environment by means of its energy source, which is most often the fossil fuel-powered national grid electricity, along with its CFC and HCFC refrigerants, which are known to contribute to global warming and ozone depletion. 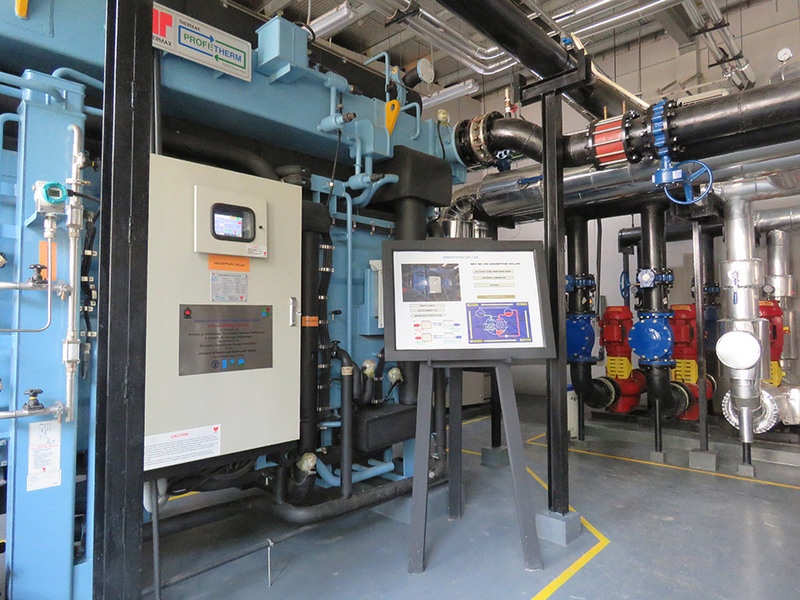 The first vapour absorption chiller in a Sri Lankan hotel was set up at Jetwing Lagoon in 2012, followed by Jetwing Yala in 2014, as well as Jetwing Lake and Jetwing Blue in 2017. These chillers have been designed to provide cooling using a heat source, as opposed to an electrical input and use demineralised water as a refrigerant instead of halogenated hydrocarbons used in vapor compression chillers. 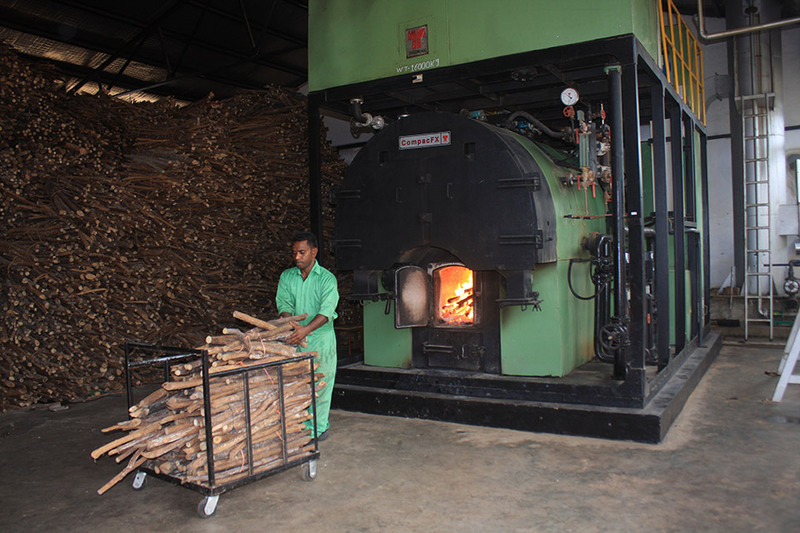 As the heat source is steam generated from the biomass boiler fuelled by sustainably sourced cinnamon wood, our air conditioning requirement is met primarily through renewable energy. 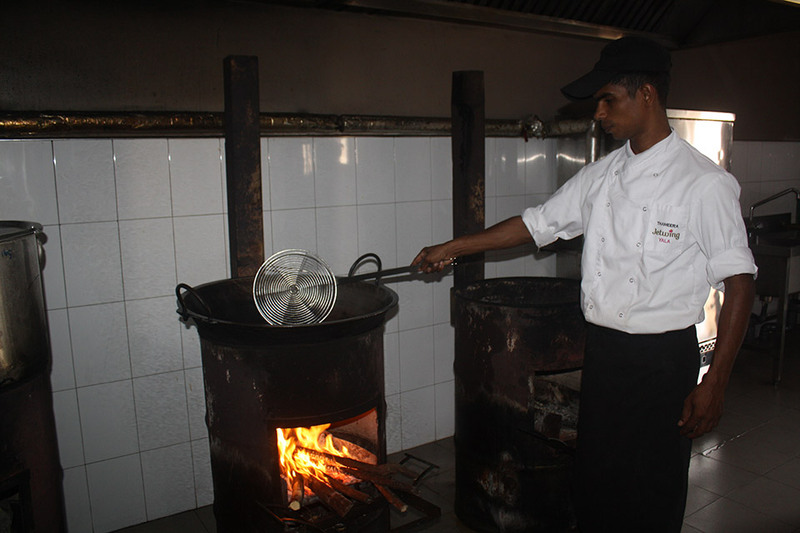 Finally, staff kitchens at Jetwing Yala, Jetwing Kaduruketha, Jetwing Blue, Jetwing Lake, and Jetwing Vil Uyana also adopt the direct use of biomass through biomass stoves – eliminating the need for LPG for cooking. At Jetwing Blue and Jetwing Yala, the kitchens also adopt an indirect use of biomass by using steam generated from the boiler to cook rice in a specialised rice steamer. Jetwing hotels across Sri Lanka have adopted solar energy in two forms. Firstly for photovoltaic electricity generation, which began at Jetwing Blue in 2010, and later at Jetwing Sea in 2011, as an off-grid, standalone system with a battery backup that was not connected to the national grid. Alternatively in 2012, Jetwing Lagoon hosted the first grid-tied system in our family, which was designed to export excess electricity produced to Sri Lanka’s national grid. The electricity generated from these systems are used mostly for illumination in rooms, unlike Jetwing Yala and Jetwing Lake which feature systems that contribute to a significant percentage of the total electricity requirement. 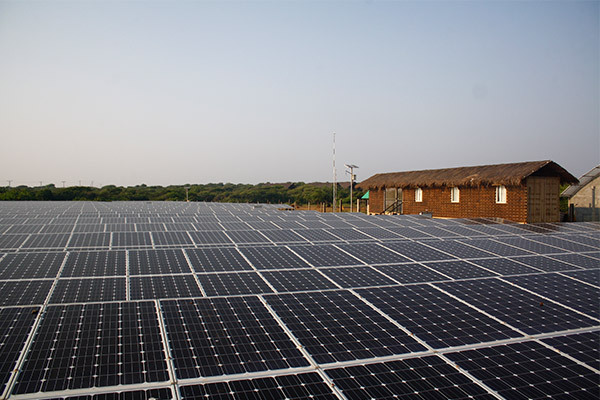 Since 2014, Jetwing Yala has hosted one of Sri Lanka’s largest privately owned solar park with an install capacity of 300kW spread over an area of 1.2 acres. 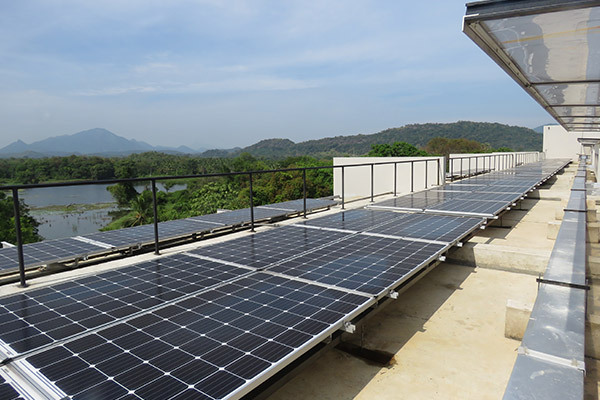 Similarly, Jetwing Lake also hosts a 300kW solar photovoltaic system with both ground mount and rooftop panels – the first time bifacial panels were used for a commercial project in Sri Lanka. It is worth noting that the bifacial panels on ground mount array have been designed to produce an increased yield – generating electricity from the back of each panel as well. The second form of solar energy adoption in our family is through the use of solar thermal panels. While our biomass boilers contribute to the total hot water requirement of most hotels during the night, these panels are used between 9 AM and 4 PM during the day. 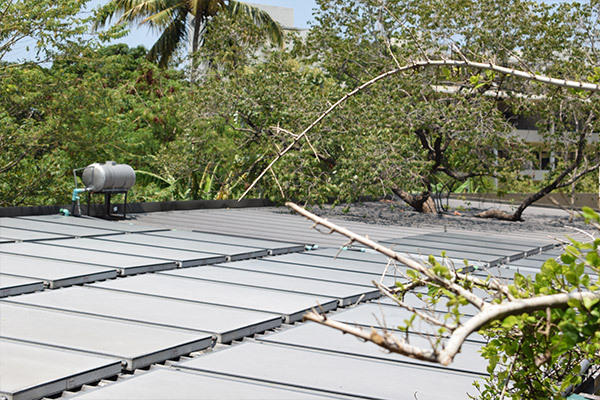 As a sustainable method of hot water generation, these solar thermal arrays use flat plate collectors designed for optimum performance in tropical countries such as Sri Lanka – where the first set of panels used for a centralised hot water system was set up at Jetwing Beach in 2009. Open architectural designs to maximise natural illumination and ventilation. 100% LED illumination in new properties, with LED replacements in older properties. LED backlit televisions instead of CRT televisions. 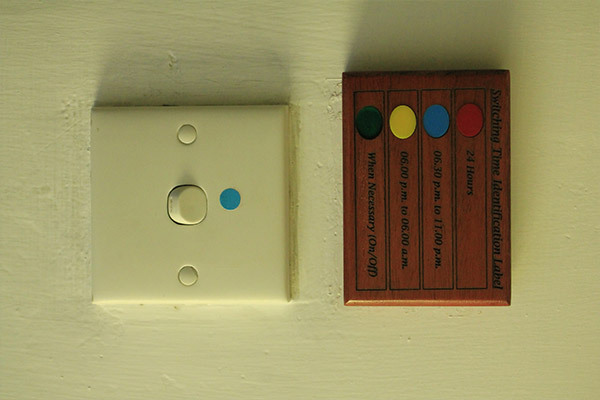 Scheduled, colour-coded switching patterns in public areas. 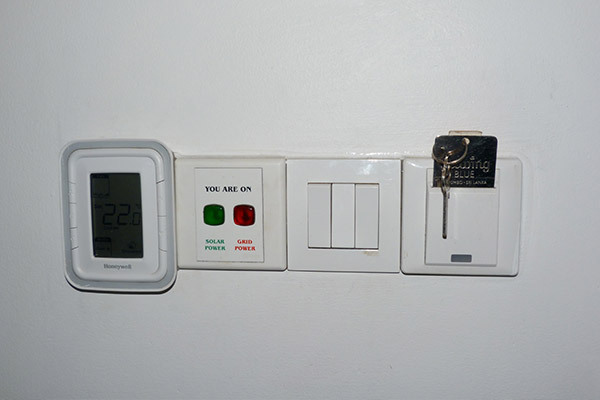 Keycard-operated guest rooms, which feature dual set point thermostats for air conditioning systems that are programmed with a setback temperature when the keycard is removed. 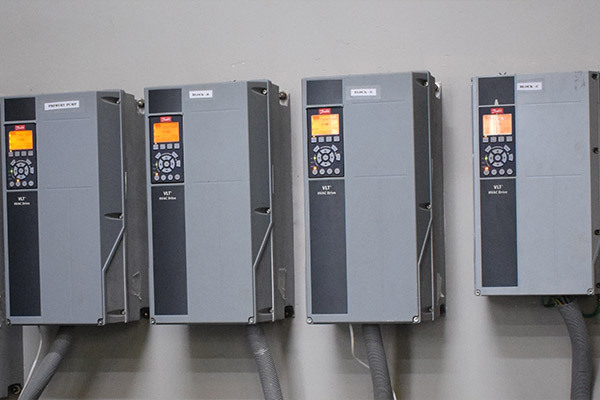 Variable Frequency Drives for pumps and motors with a fluctuating energy demand. Consideration of environmental performance ratings (e.g. Energy Star, CFC Free, etc.) when purchasing or replacing appliances. Freezer curtains for cold rooms to reduce energy loss, where the freezers are opened only on pre-defined schedules and monitored through door counters. Sub-metering systems to monitor and record electricity consumption, with web-based power analysers that not only highlight consumption patterns in real-time, but also provide historical data to compare trends in energy demand. Preventive maintenance carried out on pre-defined schedules. Ensuring staff awareness to reduce energy wastage in overall operations.